OMC Power Equipment has strengthened its construction focus considerably with the addition of top quality Weber MT brand of plate compactors to its line-up. Silver-lining time, folks. If there's one positive aspect the devastating 2010/11 earthquakes have added to local Christchurch businesses, it's the opportunity to diversify. 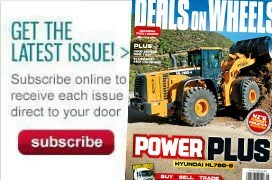 OMC Power Equipment is one such company. A family operation, it has been a Christchurch stalwart for decades, beginning as a simple mower shop almost 30 years ago. While it's been carrying construction tools for some time now - thanks to a long tradition of supplying and servicing Stihl gear, which skirts across both mowing and construction sectors - the seismic events of the last two years has seen it meet the demand for a larger dedicated array of construction equipment, particularly or compaction. "Our business is built around selling and servicing quality equipment with the aim of enhancing projects and providing efficiency in all aspects of the operation. 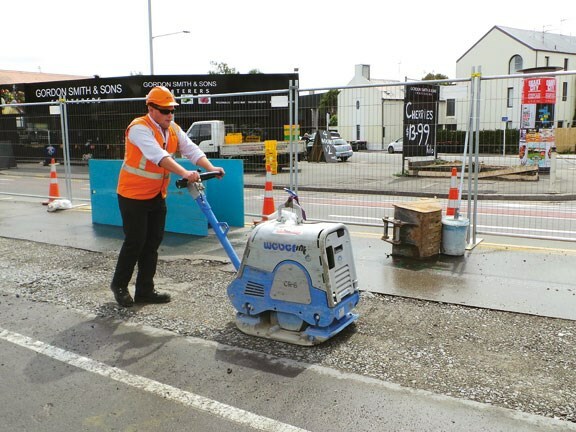 So while we're meeting demand, we still want to supply the best tools possible," says Manfred Watt, who takes me out to a central Christchurch site to have a look at an example of the latest line to be added to the OMC Power Equipment showroom floor, the new Weber MT CR6 compactor, a 412kg-capacity diesel unit powered by a German-made Hatz diesel motor with electric start. "Upon seeing it for the first time, we knew instantly that it was great gear with leading components - a tribute to the trusted quality you would expect with all German-made equipment ." Weber MT is a small German company, producing a complete range of compaction equipment covering 100kg-900kg reversible plate compactors since 1958, as well as single direction plates, rammers, rollers, and trench rollers. Despite the specialised nature of its core product, it has earned a reputation for delivering quality gear in Europe and North America. "It makes most of the components itself and uses top quality Honda, Hatz, and Subaru engines. There's a lot of cheaper equipment in the compaction market, so seeing Weber's quality operation at the factory level was important to us in deciding to bring its gear here." 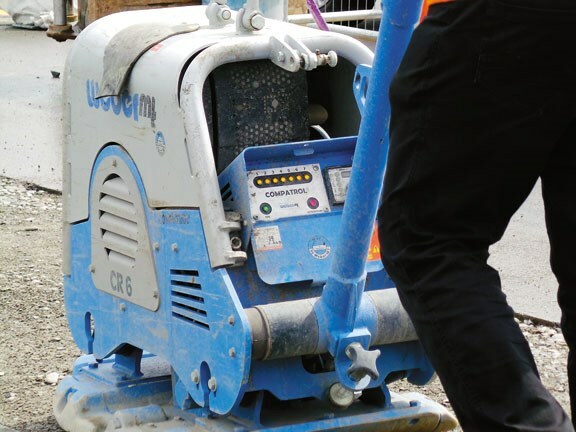 In addition to solid reliability and up to 250-hour service intervals, Weber MT's bigger machines - such as the CR6 we saw - can be spec'd with Compatrol CCD compaction control technology. 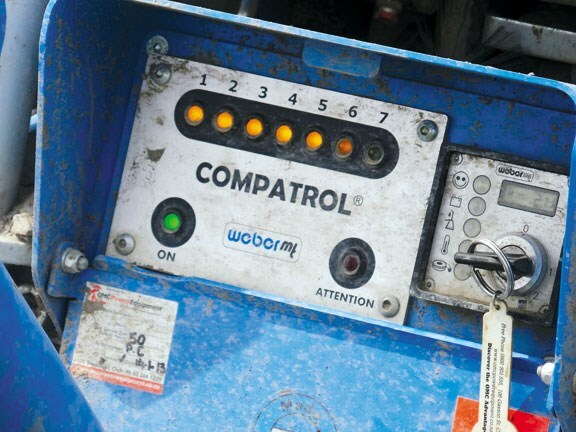 The Compatrol CCD system utilises a sensor in the base plate of the compactor which measures changes in vibrational behaviour during the compacting process. Continually analysing a 'frequency band' related to the soil's stiffness, the machine gives the operator feedback through a series of LEDs on an integrated instrument panel. If the maximum amount of LEDs light up during a compaction pass, the operator can be assured maximum compaction has been achieved. The system has already proven popular, as it takes a lot of guess-work out of compacting jobs and eliminates concerns about unknown weak points in the soil sub-base that might lead to more settling later on. Weber MT reversible plate compactors also feature a two-year commercial/construction warranty, extremely low hand/arm vibration levels and patented top anti-vibration handle mounts to further reduce vibration and the potential for operator fatigue. Additionally all hoses and cable controls are enclosed inside the guide bar and frames and the machines feature a collapsible heavy lifting eye for manoeuvring around the work site. There's innovation aplenty underneath the compactor too, with Weber's self-cleaning base plate. This round-edged design prevents accumulation of material gathering on the base plate without any expensive shrouds to trap material behind either. "Another big plus for us with Weber MT compaction tools is that they're really well guarded," says Manfred. "The one being used here is working in a trench environment, so there's always the threat of rocks falling in on it. The machine's engine and steel belt is really well protected with comprehensive cage frames." With stock now in store and demonstration machines available, OMC Power Equipment is confident it's putting its name behind a solid brand. After all, diversification is easy when you've got the best tools for the job. 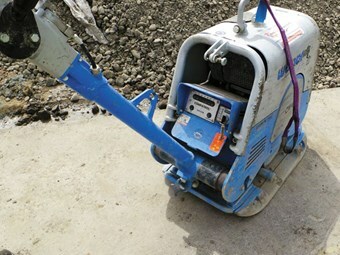 For more information call OMC Power Equipment on 0800 503 555.